The entry of the bride moment is one of the most quintessential moments of a wedding, and every bride wants to look stunning. It’s the moment where everyone turns around to see her grand entrance or looks the other way to see the look on the groom’s face as he sees his bride for the first time. This is usually an emotional moment that often brings on tears for everyone attending the ceremony, and every bride wants to make sure their entrance is perfect. This is where a wedding planner can come in handy, using their experience to provide a few secret tips and tricks to help make the bride’s wedding entrance everything she has always dreamed of. Here are 10 secret tricks for a stunning entry of the bride moment. To make a grand entrance at their wedding, many brides choose to add a little something extra special to make their stunning debut. This can range from fancy cars to horse carriages and everything in between. These kinds of grand entrances can be quite an added cost to a wedding, but it’s worth it to add to the bride’s special moment when she enters her wedding ceremony to the awe of her groom and guests. Horse Carriage: A stunning entry of the bride that many wedding planners suggest is riding to your ceremony in a horse carriage. It allows brides to feel like a princess on their special day, arriving in grand style in a beautiful carriage pulled by a horse. Use a “Built In” Grand Entrance: Many wedding venues comes with “Built In” grand entrances like hidden curtains or doors off to the side for a bride to make a surprise entrance through or glass elevators for the bride to ride up through the floor in before making her grand entrance. Your guests will be stunned by a secret entrance and you’ll be sure to capture all of the attention you deserve. Aisle Runner:An aisle runner is a beautiful addition to a wedding ceremony and adds to the entry of the bride moment as well as the entire wedding party’s entry. 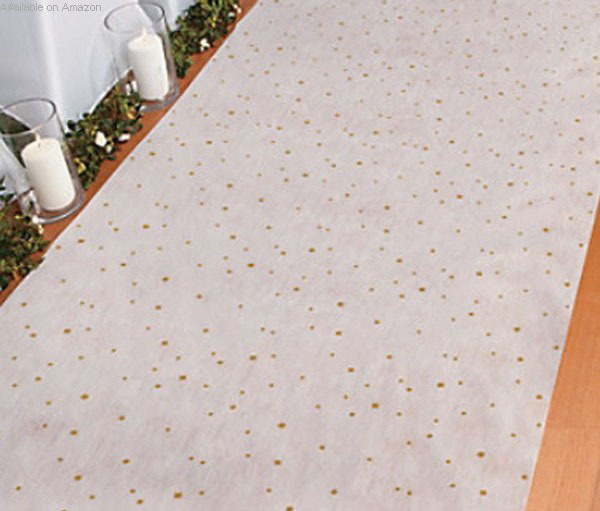 This gold speckled aisle runner is long enough for most aisles and adds a touch of romance and a special sparkle to the ceremony. Wedding Music:A wedding ceremony is incomplete without wedding music for the bridal party’s entry. You should have a song change as the wedding party reaches the end of the aisle and as the bride makes her grand entrance. 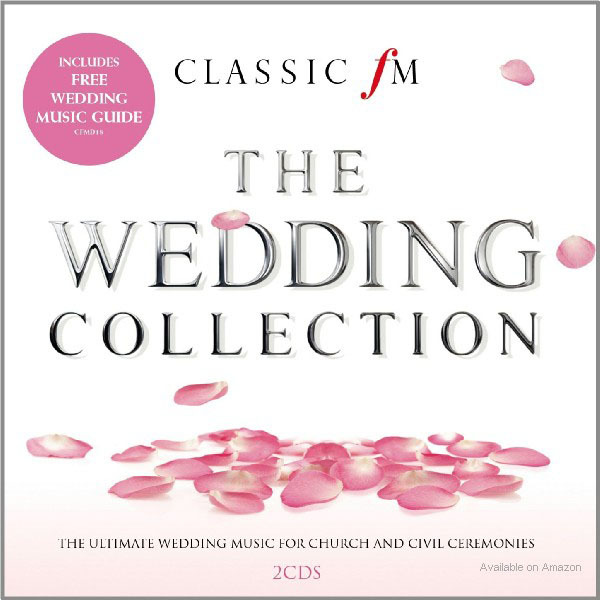 This wedding collection provides classic and lovely music to play as the bride makes her debut. Every bride gets to make a second grand entrance as she transitions from the wedding ceremony to wedding reception. This is usually not a solo entrance as the bride and groom make their first entrance as newlyweds, but it is not any less stunning. Receptions are for having fun and letting your wedding guests take part in your special day so don’t make your reception entrance a serious one. 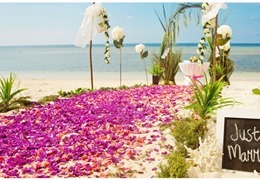 There are so many options to choose from for a wedding reception entrance so have fun with it. Silhouette Curtains: Use silhouette curtains to give your wedding guests a glance of the newlywed couple before they make their grand entrance for the first time as husband and wife. Perhaps allow them to see you dancing your way in or enjoying a stolen romantic kiss before you rejoin your guests. Rose Petal, Confetti, or Balloon Drop: A big drop as you enter your wedding reception is a great way to say “Let the fun begin!” Go with a romantic theme by choosing rose petals or try something a little more colorful and exciting by dropping confetti or balloons over the bride and groom as they make their way into the reception. Wedding party favors are a way to thank your wedding guests for attending and taking part in your special day. Come up with unique wedding ideas for the party favors that allow your guests to get involved in the day’s proceedings, not just items for them to take home. You can also leave some wedding favors for guests to pick up as they leave the wedding ceremony so they can use them to welcome you into the reception hall. Sparklers: Sparklers are a fun way to make your entrance into the wedding reception. 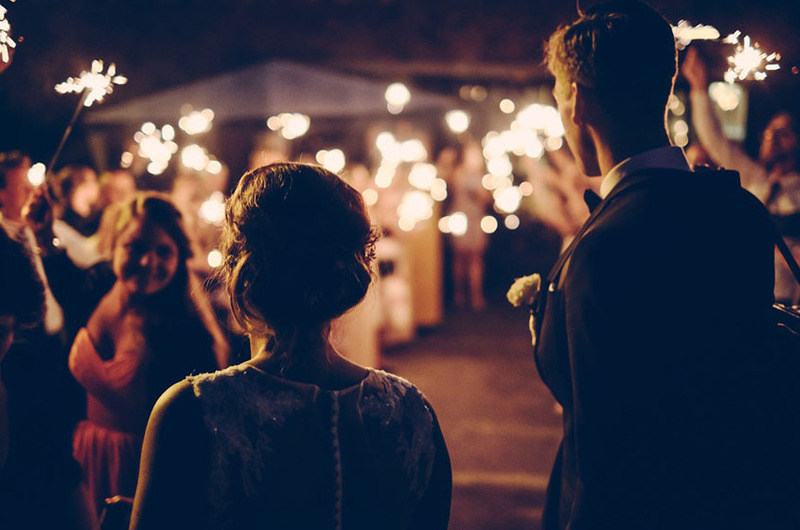 Have guests pick up sparklers as they leave the wedding ceremony and then light them and hold them above their heads as you run through a tunnel of sparklers to make your way into the reception hall. Bubbles: Bubbles are another way for your guests to welcome you into the reception. Leave a spot for guests to pick them up as they leave the wedding ceremony then blow bubbles toward the newlywed couple as they dance and make their grand entrance as husband and wife at the reception. Just like you took special care in selecting decorations for the wedding ceremony to highlight your entry of the bride moment, you can do the same with your entrance to the reception. 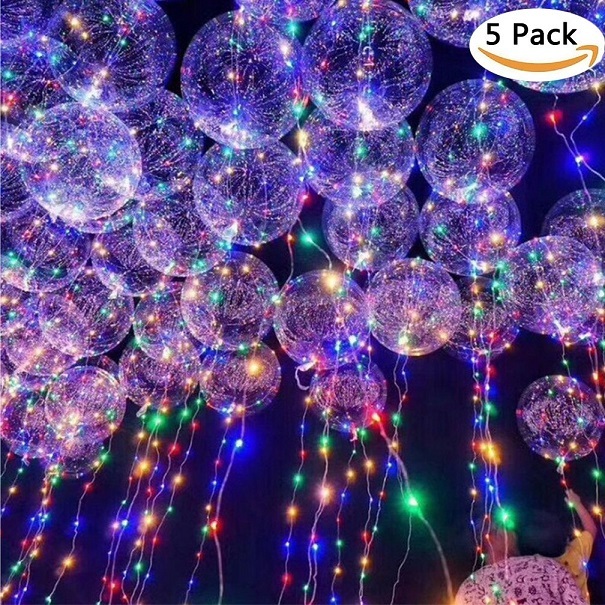 Choose romantic fairy lights, beautiful flowers, centerpieces, and more. And don’t forget all of the special moments that go into a wedding reception like the first dance or cutting the cake. Lights: Romantic lighting is essential to decorating for a wedding reception. These pink rose fairy string lights provide dreamy backdrop lighting at the entrance to the reception hall to appear around the bride as she enters her reception. First Dance: As you make your entrance as newlyweds into the reception hall, make your first dance part of it. Select one special song to dance to or make a mix of serious and silly songs to impress your wedding guests with your dancing skills. It’s a great way to make your entrance and show off your personalities as a couple. The stunning entry of the bride moment is one of the moments every girl dreams about growing up. Make sure it’s everything you’ve ever dreamed of by getting your wedding planner involved or using a few of these tips and tricks. You want it to be fun, impressing your wedding guests with the beautiful ceremony you’ve planned. Don’t forget about your second grand entrance at the wedding ceremony and all of the other small details and decorations that go into both a wedding ceremony and reception. Most of all just enjoy your special day and celebrate your new marriage with your groom, friends, and family by your side.